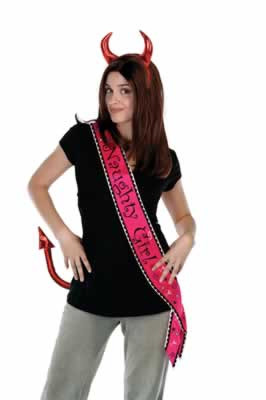 Black and red satin sash with "Naughty Girl" printed across the front. Measures 33" x 4". Sash only - horns and tail sold separately.